Our board of trustees are our trusted leaders privileged to oversee the Long Island Alzheimer’s Foundation. Each of our trustees bring different experiences and expertise, but they all share a common passion for helping families impacted by Alzheimer’s disease and related forms for dementia. Just like our employees, our board of trustees are committed to making a difference — one person, one family, one community at a time. Jennifer B. Cona is the managing partner of Genser Dubow Genser & Cona LLP, a leading Elder Law and Estate Planning firm on Long Island. The firm provides a holistic approach to Elder Law, working together with both families and health care facilities to sustain quality care for older adults. Ms. Cona provides hands-on management and leadership for the firm of 40. Ms. Cona is rated a Super Lawyer, a Top 10 Legal Eagle, was named in the inaugural class of the New York Law Journal’s Top Women in Law as well as the inaugural class of Hofstra’s Outstanding Women in Law, has received the Leadership in Law award, Smart CEO Brava Award, and twice the Top 50 Most Influential Women in Business award. She has been featured in The New York Times, The Wall Street Journal, The New York Law Journal, Long Island Business News, Newsday, USA Today, Kiplinger’s and more. She has appeared as a guest on WNBC-TV, WABC-TV, CNN-fn, Fox 5 News, News 12 LI, and various radio programs. Under Ms. Cona’s direction, the firm has prioritized corporate social responsibility. GDGC founded its own non-profit, Senior Dreams Come True, which grants wishes for low-income seniors on Long Island. GDGC seeks to raise the profile of attorneys and law firms in general, leading by example with outreach and good deeds. Tom has been involved with LIAF for many years. 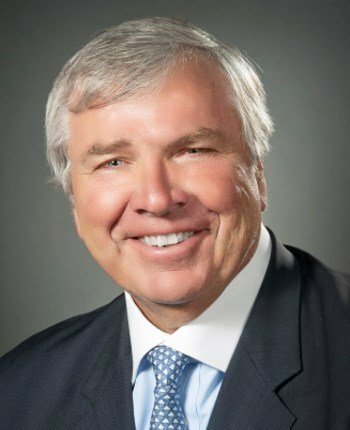 From September 2015 to January 2018, he served as LIAF’s Chair, leading LIAF through a critical transformative period, including the sale of its Port Washington headquarters, its relocation to a more centrally located state of the art center in Westbury, and LIAF’s joining with the Catholic Health System of Long Island in an innovative study showing how LIAF’s programs help those afflicted with Alzheimer’s and their caregivers. He now serves as LIAF’s Vice Chair. Tom has practiced law since 1973, beginning his career at a midtown Manhattan boutique law firm, before joining Farrell Fritz, P.C., where he became a partner and served on its Management Committee for 18 years. Now a sole practitioner, Tom serves clients throughout the Greater New York Metropolitan area, with offices in both Nassau and Suffolk Counties on Long Island. He attended both college and law school on full academic scholarships, receiving his B.A. with honors in 1969 from St. Francis College and his J.D. in 1972 from St. John’s University School of Law, where he served as Managing Editor of the Law Review. He is admitted to practice in New York and before several courts, including the United States Supreme Court, the United States Courts of Appeals for the Second and D.C. Circuits, the United States Court of Appeals for the Armed Forces, and the U.S. Tax Court. 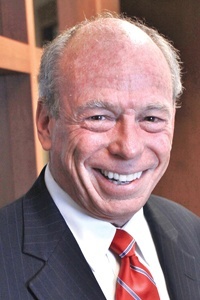 Tom has received several notable awards from distinctive sources, including (a) the AV Preeminent Martindale-Hubbell Lawyer Peer Review Rating, signifying his legal peers rank him at the highest level of professional excellence for his legal knowledge, communication skills, and ethical standards, (b) the Lifetime Achievement Award from Long Island Business News, and (c) the David Award from Networking Magazine. Among his professional affiliations, Tom is a Life Fellow, New York Bar Foundation and a member of the American, New York State, Nassau and Suffolk County Bar Associations. Tom’s charitable/community work includes being a member of the Board of many organizations, including Community Development Corporation of Long Island, Maurer Foundation for Breast Health Education, Long Island Community Chest, and previously as a member of the Board of Education of the Manhasset Union Free School District (1997-2003; Vice President, 2000-2003). 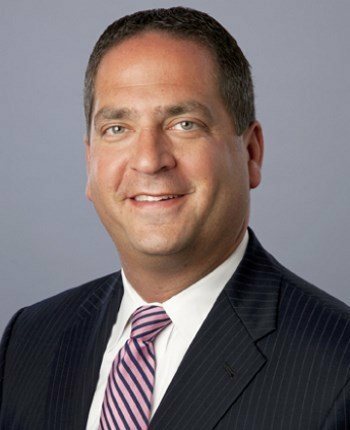 Todd H. Hesekiel, Esq., who was appointed to LIAF’s Board of Directors in June 2017 and currently serves as Secretary, is a partner with McLaughlin & Stern, LLP, a national law firm. At the firm’s Great Neck office, he is the Administrative Partner, overseeing all day-to-day operations. Mr. Hesekiel received his B.A. from Boston University in 1996 and his J.D. from the Yeshiva University-Benjamin N. Cardozo School of Law in 2000. He is admitted to practice law in New York, in the United States Court of Appeals for the Second Circuit, and in the United States District Courts for the Southern, Eastern and Western Districts of New York. He is a member of the New York State Bar Association and the Nassau County Bar Association. Mr. Hesekiel’s father-in-law lived with Alzheimer’s disease for several years before his passing in 2014. As a result, Mr. Hesekiel and his family have a strong commitment to supporting the work LIAF does. For the last several years, he has been a member of LIAF’s Golf Classic committee and his wife, Jennifer, is a committee member for LIAF’s annual Women’s Luncheon and Fashion Show. Nicholas Lazzaruolo was appointed to LIAF’s Board of Directors in June 2017, and currently serves as Treasurer. 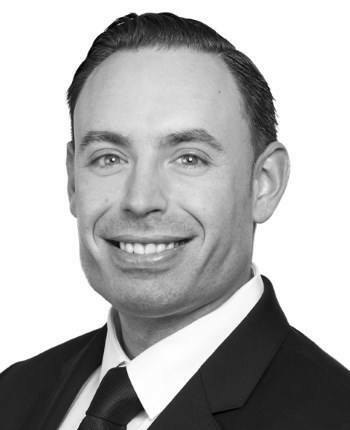 Nicholas joined Grant Thorton LLP in Melville, a leading audit, tax and advisory firm, in 2003, where he is an Audit Partner, serving nonprofit and higher education clients. He is a certified public accountant in the state of New York and a member of the American Institute of Certified Public Accountants. He has in-depth technical knowledge and experience in financial and compliance audits, consolidated fiscal report certifications and special projects related to operational studies. Nicholas, who holds a B.S. in Accounting from Villanova University, has worked with a vast array of international and national not-for-profit organizations including professional associations, higher education, social service organizations, foundations and religious organizations. Nicholas and his wife, Erika have two children. He and his family are active supporters of organizations such as St. Jude Children’s Research Hospital and the Leukemia and Lymphoma Society. Both his family, and his wife’s, have been impacted by Alzheimer’s disease. 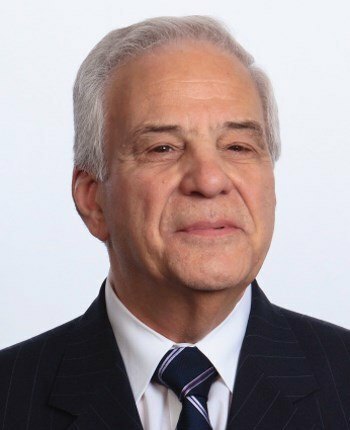 Carmine Asparro was appointed to LIAF’s Board of Directors in June 2017. 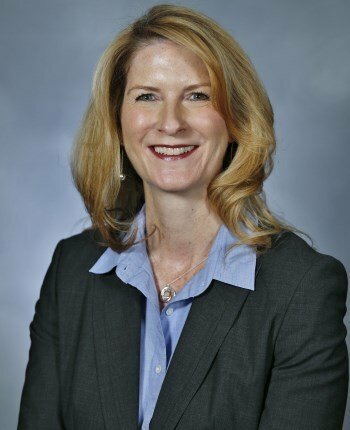 Carmine is a Principal with OnPoint Partners, a national boutique managed care consulting firm, based in Carle Place. He has extensive experience addressing the challenges of managed care and is well qualified in negotiation and implementation between facility-based and group-practice based service contracts and national and regional-based managed care organizations. Carmine’s professional experience includes numerous high-level positions, among them, Senior Vice President – Managed Care for the Long Island Health Network (a 10-hospital system) and senior roles with Empire Blue Cross Blue Shield and Travelers Health Network. Mr. Asparro earned an M.B.A. in Health Care Administration from the Mount Sinai School of Medicine/Bernard M. Baruch College of the City University of New York. Since his mother’s Alzheimer’s diagnosis about ten years ago, Carmine has dealt with the challenges of the disease first-hand. He and his wife, Kathy, along with other family members, have dedicated themselves to providing her with the best possible care and are also actively engaged in fundraising events for LIAF. Kevin J. Dwyer has served on LIAF’s Board of Directors for the past three years. He is a seasoned executive with an admirable record of accomplishments. 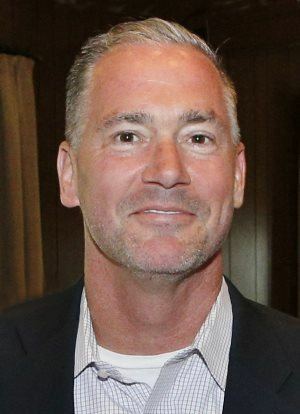 Kevin spent nearly 30 years in the paper and packaging industry, and was President and CEO of Spiro Wallach Co., a large distribution company. 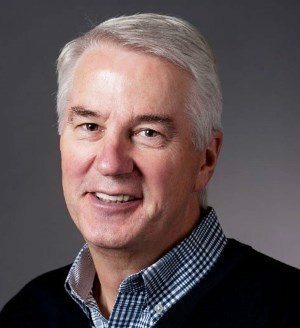 After selling Spiro Wallach to Unisource Worldwide Inc, North America’s largest paper distribution company, Kevin assumed the role of Vice President of sales and marketing for the company’s Mid-Atlantic market, creating and delivering programs for their national sales management training institute. Today, Kevin serves as Director at SupplyLogic, a company he founded after leaving Unisource. In 2005, Kevin embarked on a new career path in the not-for profit sector, joining North Shore LIJ Health System, (currently, Northwell) as a Vice President in the Development office. He quickly rose to a Senior Vice President and Chief Development Officer position, responsible for co-managing all day-to-day activities and initiatives that supported long range capital plans, as well as identifying future board leadership. Kevin was directly responsible for both the major and principal gift strategies and personally delivered some of the largest individual gifts in the system’s history, before his retirement in 2014. In addition to serving on LIAF’s board, Kevin is currently on the board of directors of IGHL, the Nassau County Police Department Foundation, and the St. Patrick’s Day Parade Foundation in New York. Kevin and his wife Suzanne are the proud parents of four children and two grandchildren. Paul Eibeler is a veteran of the interactive games business. He presently is chairman of COKeM International, a leading games distribution company. He serves on several boards and advisory positions including BD&A, Greenman Gaming, and Game Sessions. He was past CEO of Take 2 Interactive, a leading games publisher. Paul is a Trustee of Loyola University and Holy Trinity DHS Principal’s Committee. He has proudly served on the LIAF board for 15 years and was chairman from 2008 to 2014. Paul and his wife of 40 years, Mary, live on Long Island. Brian Emmert was appointed to LIAF’s Board of Directors several years ago. Since 1998, he has held the position of Chief Financial Officer at Jetro/Restaurant Depot. Brian is a graduate of Pace University and is a New York State Certified Public Accountant. He lives in Garden City with his wife, Laura, and their three children. Are you interested in learning more about our esteemed board of trustees? At LIAF, we're a 501(3)(c) nonprofit organization. We encourage you to ask questions about our mission or financials. Give us a call at (516) 767-6856 or complete our online contact form for more information.